With a Cradle to Cradle certificate you show your commitment to healthy and sustainable products. The certificate proves that your product meets the Cradle to Cradle Certified™ Product Standard – one of the highest sustainability and material health standards. 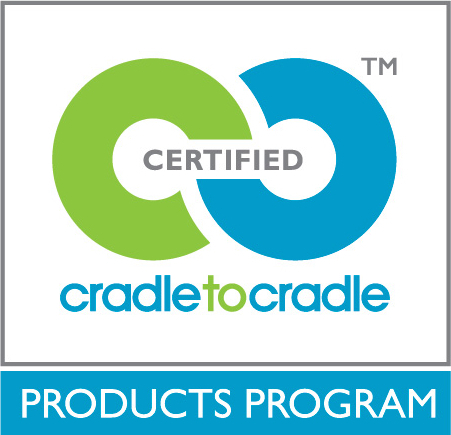 Cradle to Cradle Certified™ is a globally recognized third-party product certification. The standard covers almost all kinds of non-food products – from children’s toys to building materials. It is administrated by the independent non-profit organisation Cradle to Cradle Products Innovation Institute. To get a product certified, manufacturers must work with a qualified independent assessment body trained and accredited by the institute. The assessment body performs product assessment and prepares an Assessment Summary Report. The report is then reviewed by the Cradle to Cradle Products Innovation Institute, which certifies the product and issues the certificate along with licens to the manufacture to use the Cradle to Cradle design mark. Vugge til Vugge ApS is one of 15 Cradle to Cradle Accredited Assessment Bodies in the World and the only one in the Nordics. We have many years of experience and we can offer guidance throughout the whole certification process – from the first clarification meeting to the final certificate. We take pride in working hard to help you achieve the best results possible. If your company is interested in having one or more of its products Cradle to Cradle certified, we always suggest you take a no-obligation meeting with us first. The meeting is completely free and will most likely be held on Skype. Fill out the blanket and we will contact you as soon as possible. Your product will be evaluated against criteria in five certification categories, each category with an ultimate, indicating a 100% good product. For each category, the product receives an achievement level – Basic, Bronze, Silver, Gold, or Platinum – depending on how close it is to meeting the ultimate goals. The lowest achievement level represents the product’s overall mark. Check out the Institute’s overview of the different categories and levels for more information. 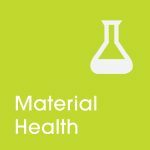 Product ingredients are identified and evaluated for impact on human and environmental health. The goal is to eliminate all toxic and unidentified chemicals and achieve products that are safe and healthy for humans and the environment. Products are designed either to be recycled into new products as a technical nutrient or biodegrade safely as a biological nutrient. 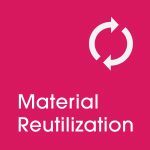 The goal is to eliminate the concept of waste thru 100% recovery and upcycle. The production is sourced by renewable energy and inevitable carbon emissions are offset. 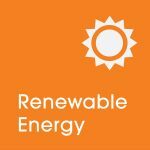 The goal is carbon neutrality and powering of all operations with 100% renewable energy. 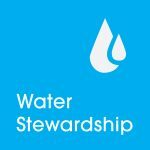 Production processes are designed to regard water as a precious resource. The goal is to clean up effluent to meet drinking water quality. Company operations are designed to honor all people and natural systems. 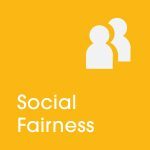 The goal is fair conditions for employees and making a positive difference in the local communities and through out the supply chain. Check out more general information on the certification process, or book a meeting with us to get a better understanding of the process for your very product. The first step towards a Cradle to Cradle certification is taking a free meeting with us. The meeting will help you clarify whether Cradle to Cradle certification is relevant for your product, how it may benefit your business, and what the process will require in your specific case. Of course, we will also be happy to answer any questions you may have. If your company is interested in having one or more of its products Cradle to Cradle certified, we always suggest you have a no-obligation meeting with us first. The meeting is completely free and will most likely be held on Skype.